Countdown to Christmas is on with Visit Santa! With just over 100 days to go now is the time to get booking that trip of a lifetime to see Mr Claus himself in the magical world of Lapland! A trip to Lapland is a dream for any family – both kids and adults! To give a wishlist to Santa in person is one memory they will never forget! VisitSanta have released some amazing deals for this Christmas, ranging from one day trips to four day adventures. Most popular are the three day trips which start from €1,119pp and give families plenty of time to do all the fun activities on offer. Those on a budget or who are tight on time can choose a one or two day trip from only €640pp. All packages includes flights, accommodation, thermal clothing and are jam-packed with exciting activities and, of course, some face time with the man himself! VisitSanta are also giving you the chance to win this magical experience for you and your family, with Canterbury Travel! Just click here to enter and you could win a trip for two adults and two children to Lapland where you can explore Santa’s village, go snowmobiling, take a sleigh ride, and meet Santa Claus himself. Now is the perfect time to start planning and take advantage of these early offers! So book now and avail of fantastic value on these Lapland adventures for you and your little loved ones! Take this mesmerizing day trip to the mystical resort of Enontekio where igloos, ice sculptures and of course Santa await from only €680 per adult and €640 per child. Price includes: Return flights incl. taxes, transfers, thermal snow suits and boots, a visit to Snow Igloo, private meeting with Santa and his elves including gift, snowmobile, husky, tobogganing and sleigh rides, lunch, souvenir CD and licences. A sensational sleepover in Santa’s hometown where you will be taken on whirlwind adventures by his reindeer and elves, and you’ll even get to meet the magical Mr. Santa Claus himself from only €1,097 per adult and €819 per child. Price includes: Return flights ex. Dublin or Cork, meeting with Santa, free gift for children aged 2-12 years, snowmobile, husky and reindeer sleigh rides, snow and ice fun activities, gingerbread decorating, a trip to Santa’s post office and village, thermal clothing for the duration of your trip and meals. An activity-filled break to the snowy plains of Lapland, with everything from husky and reindeer sleigh rides to lessons at Elf School and a meeting with a very merry Father Christmas from only €1,309 per adult and €1,119 per child. Price includes: Return flights ex. Dublin, thermal snow suits, 3 nights full-board accommodation, private meeting with Santa and his elves with gift, snowmobile, husky and reindeer sleigh rides, tobogganing, all meals including a Festive Gala dinner and show, souvenir CD and licences. An exhilarating 3 night trip to transport you to a world of magic, this package includes every festive activity you could hope for and more from only €1,575 per adult and €1,475 per child. Price includes: Return flights ex. Dublin, thermal snow suits, 3 nights full-board accommodation, private meeting with Santa and his elves with gift, snowmobile, 90 minute husky and reindeer experiences, tobogganing, all meals including a Festive Gala dinner and show, journey to the magical post office, €25 gift allowance, souvenir CD and licences. All offers subject to change and availability. For more information or to book visit VisitSanta.ie or call the experts on 01-6111048. 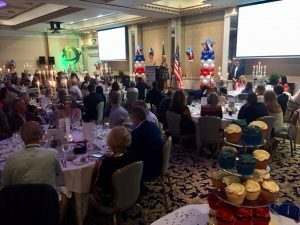 At the invitation of TravelMedia.ie I attend the annual USA Summer Soirée 2018 event at The Shelbourne Dublin. 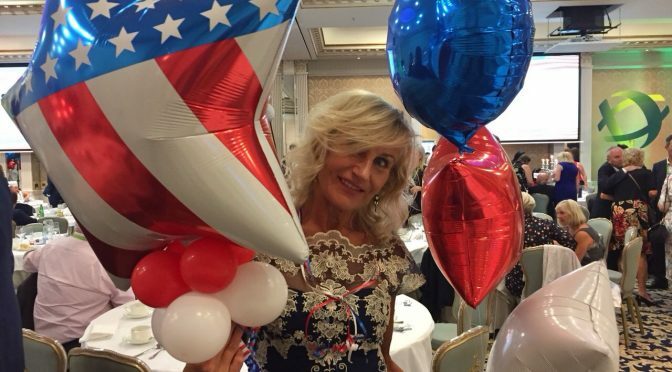 Readers of my articles, Silvija Travel Tips online posts and my Twitter tweets will know I have a special place in my heart for the USA. 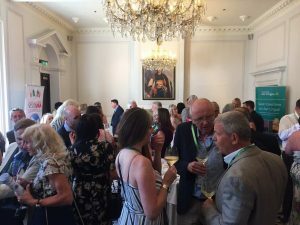 Following a drinks reception the 200 members of the travel trade and media took there places in the ballroom for a fabulous dinner and interesting speeches. The Acting U.S. 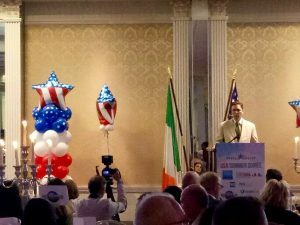 Ambassador to Ireland, Reece Smyth, opened the event, speaking about the close links Ireland has with the USA. 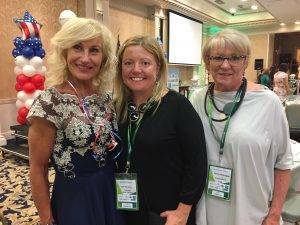 Claire Doherty, Visit USA Committee Ireland spoke about the organisation’s role to promote the USA as a tourist & business destination. 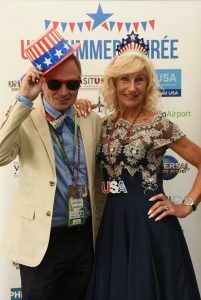 Melanie Latham from VisitUSA showcased all America has to offer with a video promo called “America’s Musical Journey,” the film follows singer/songwriter Aloe Blacc as he explores the vast U.S. musical landscape. Vincent Harrison from Dublin Airport spoke about developments at the airport and to the delight of all those present introduced a Brass Band with balloons and Dublin Airport Fast Track passes for everyone in attendance. Dave Cole from Universal Orlando Resort highlighted the new attractions and hotel accommodation at the resort. Kevin A. Dillon A.A.E from Bradley International Airport thanked Aer Lingus for their support with flights to Bradley and went on to outline what the airport has to offer for visitors to the USA. Greg Evans from Discover Philadelphia spoke about the city and the flight connections with Ireland. He was excited to announce the ITTA conference 2018 will take place in Philadelphia, USA, at the end of November. Bill Byrne from Aer Lingus gave an entertaining presentation on the airline’s routes to the USA and connectivity to Europe. Congratulations to Dee Burdock who won the prize draw and flights with Aer Lingus. Once again thank you to TravelMedia.ie brilliant event. Few destinations possess such a selection of world-famous attractions as Dubai. With the world’s tallest building and largest shopping mall, and the colossal Palm Islands, Dubai holidays are packed with wonder. 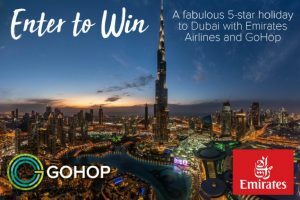 GoHop and Emirates want to give one lucky person the chance to win their dream Dubai trip! 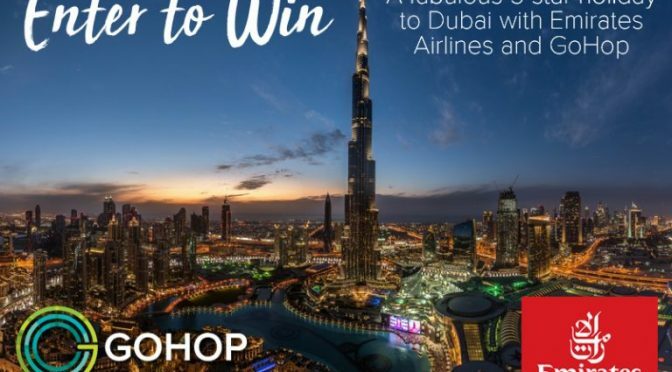 Fly with the world-class Emirates to the ultramodern city Dubai, enjoy the luxury of your 5* hotel as you lounge pool side or visit the spa, just minutes from the iconic sights such as the Burj Khalifa, the Palm, and the Mall of Dubai. Simply enter here! Spend 5 nights at the 4* Carlton Downtown from only €733pp. Price includes: Return flights ex. Dublin with Emirates, 5 nights’ accommodation as stated, taxes and charges. Based on two adults sharing. Spend 5 nights at the4* Ramada Hotel and Suites Sharjah from only €706pp. Spend 4 nights at the 5* Ghaya Grand Hotel from only €785pp. Price includes: Return flights ex. Dublin with Emirates, 5 nights’ accommodation as stated, flight taxes and charges. Based on two adults sharing. If you are looking to get away to the sun on a budget, look no further than GoHop’s low cost holidays to some of the most popular resorts. Fed up with the daily routine? A beachside stay in Faro could do the trick. Looking to enjoy a bit of luxury without having to splash out? Perhaps a few days in a four-star hotel in Malta is what you need. GoHop’s sun holidays are carefully chosen to give you the best experience on your trip. From relaxing by the pool to enjoying vibrant the vibrant nightlife, these holidays give you the full experience for less. Spend 5 nights in the 4* Grangefield Oasis Club, Malaga from only €351pp. Price includes: Return flights ex. Dublin, 5 nights’ accommodation on a room-only basis, taxes and charges. Spend 5 nights in the 4* Riverside Resort and Spa, Faro from only €360pp. Spend 4 nights in the 4* Canifor, Malta from only €374pp. Price includes: Return flights ex. Dublin, 4 nights’ accommodation on a B&B basis, taxes and charges. Spend 4 nights in the 4* Maristel Hotel, Palma from only €365pp. Price includes: Return flights ex. Dublin, 4 nights’ accommodationon a room only basis, taxes and charges. Spend 4 nights in the 4* Hacienda Puerta del Sol from only €374pp. Price includes: Return flights ex. Dublin, 4 nights’ accommodation on a room-only basis, taxes and charges. Offers subject to changes and availability. Terms and conditions apply. 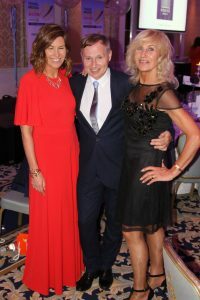 The Travel Media Awards, in association with Shannon Airport took place on Thursday 7th June 2018 in the Shelbourne Hotel, Dublin. 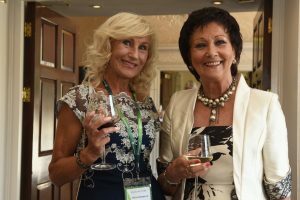 The annual Travel Media Awards, now in their eighth year, are a highlight of the Irish travel industry calendar, for both media and trade. 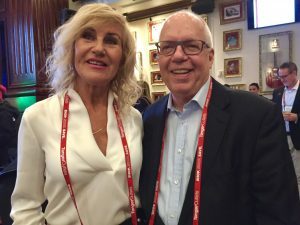 Well-known travel writers and broadcasters Fionn Davenport and Deirdre Mullins were back again this year to MC the big day and as always, there were lots of surprises and giveaways. 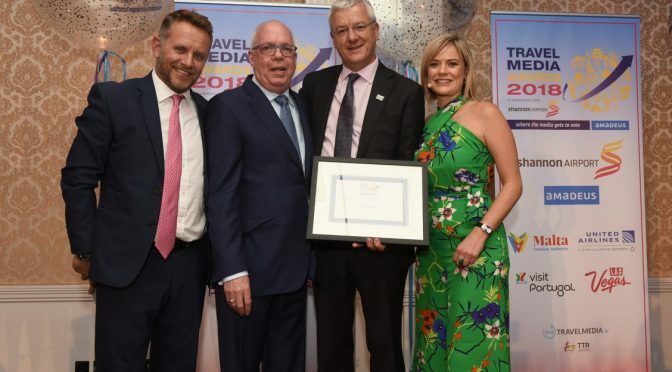 The Travel Media Awards are unique in that they are the only awards that call on members of the media to vote for their favourite travel companies. 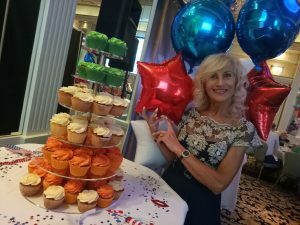 This year’s awards featured some exciting new categories including Best Luxury Hotel Group, Best Destination Representative, Best Themepark and Best Breakout Irish Travel Writer. 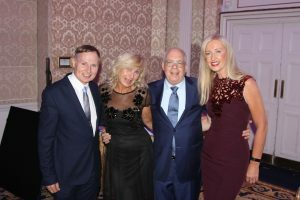 Shannon Airport were the headline sponsor of the awards, as well as sponsor of the Shannon Airport Lifetime Achievement Award which was won by Alan Sparling. 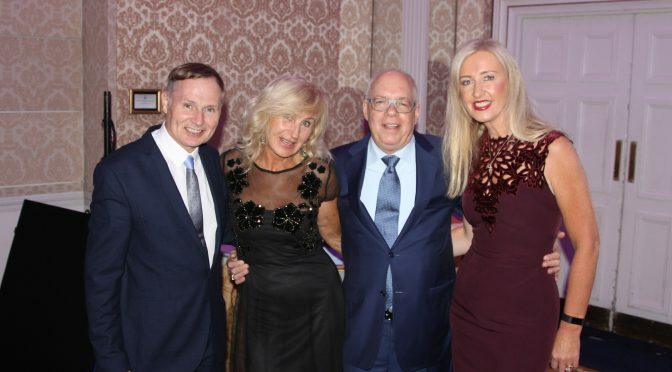 Amadeus once again sponsored the much sought after Amadeus Innovator Award, and category sponsors on the day were Las Vegas CVA, Malta Tourism Authority, United Airlines and the Portuguese National Tourism Board. To see photos from the awards visit the TravelMedia.ie Facebook page All voting was independently audited and managed by Alex Gibson, DIT. Treat yourself and go all-inclusive! Breakfast, dinner and lunch are included, either served in your hotel or packed for you to take away. Drinks are covered too – from late afternoon tea to wine with your evening meal – so you can go all out on the slopes knowing everything else is taken care of. 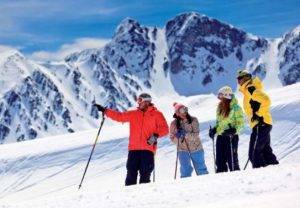 Alternatively, stay in a catered chalet which includes 3 meals on 6 days of your stay, all prepared by your chalet host. In the evening, everyone sits down together for a relaxed, social meal. This is made up of 3 courses for 5 nights of the week and a 4-course farewell feast on your last night. Early suppers are available for children on request and adults’ evening meals come with boxed house wine which is free-flowing until coffee is served. All holidays and prices are subject to change and availability, and are based on 2 sharing (Unless stated above). 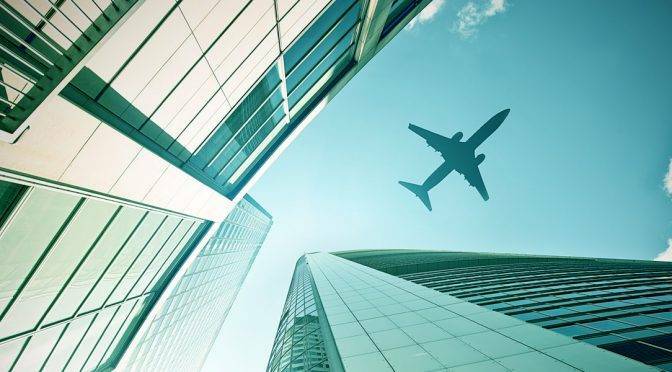 Prices do not include optional extras such as insurance, in-flight meals or group seating. Normal Crystal Ski terms & conditions apply. 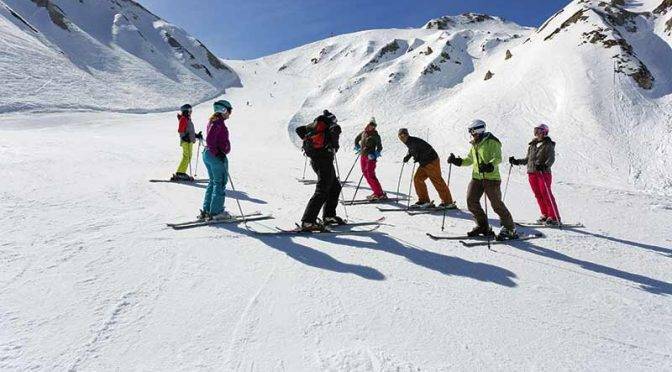 To book your holiday now call (01) 653 3504, visit www.crystalski.ie or contact your local travel agent. It’s not just European beaches that are on our doorstep – did you know that the stunning Canadian destination St. Johns, is just a 4.5 hour flight away? This colourful coastal town is nestled at the most eastern point of North America. A culture overflowing with Irish influences and history, it’s no wonder this cousin to the east is a must-see destination for the Irish. With its perfect blend of city and nature, St. Johns offers its visitors a wide array of activities. From hiking thru Terra Nova National Park and sampling the craft beer from the Quidi Vidi Brewing Company to climbing up to enjoy the views at Signal Hill and taking a boat tour out to go whale watching, St. John’s is a destination with plenty to see and do. You can fly direct from Dublin in less than 5 hours, with fights from only €423pp return. So what are you waiting for? Book your Canadian adventure today with GoHop and explore North America’s oldest city for yourself. For more information or to book visit www.GoHop.ie or call the experts on 01-2412389. 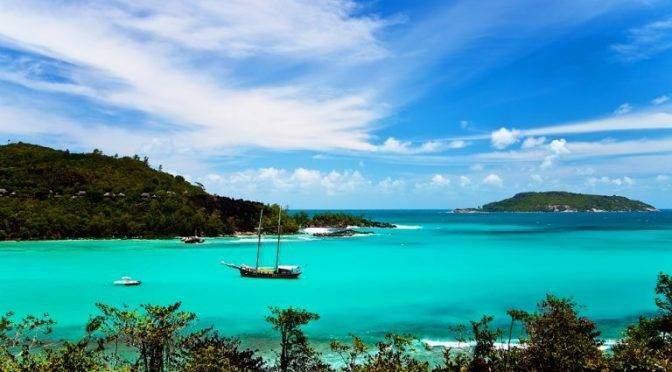 The Seychelles is made up of over one hundred and fifteen islands. Hike the rolling jungles on Mahe, soak up the sun on the world famous Anse Lazio beach of Praslin, spot the countries amazing wildlife above and below the water,and discover the rustic village island of La Digue. From the tropical mountains in the interior to the beautiful white sand beaches and turquoise waters that line Mauritius, the island will draw you back again and again. Nestled within stunning landscapes and golden beaches, a Sri Lankan beach stay is perfect for ultimate relaxation and tranquility after your touring exploration. Picturesque island escapes can become a reality with Hayes & Jarvis Ireland tailor-making your dream trip. Price includes: Return flights ex. Dublin, 12 nights’ accommodation as stated, all internal flights and transfers, taxes and charges. Price includes: Return flights ex. Dublin, 10 nights’ accommodation as stated, transfers, taxes and charges. Price includes: Return flights ex. Dublin, 14 nights’ accommodation including a 7 day tour, transfers, taxes and charges. 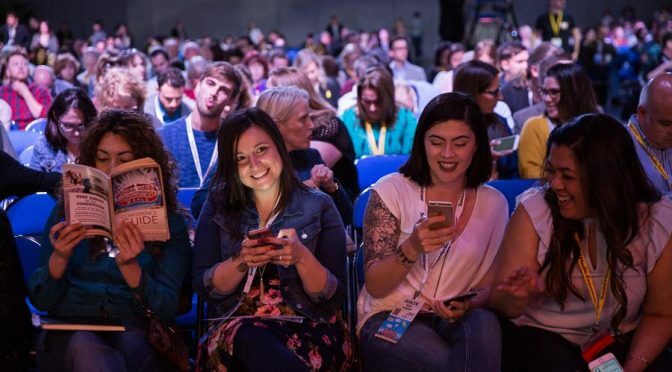 Join 5,000 fellow marketers and creators at the mega-conference designed to empower you with business-building ideas—brought to you by Social Media Examiner. The Countdown is On. We are less than two months away from the start of Social Media Marketing World and the clock is ticking. Have you heard about the Thursday night event? It has been confirmed that the second big networking party will be held at Parq Entertainmen t Center-and what a party it will be! This year’s theme: Welcome to the Jungle! We’ll have live band karaoke, multiple dance floors, craft beer and spirit tasting, extensive spaces for networking, a game room and more. 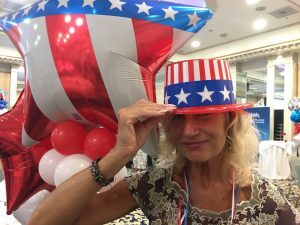 Social Media Marketing World 2018 takes place in San Diego, California at the San Diego Convention Center (111 W. Harbor Drive, San Diego, CA 92101).